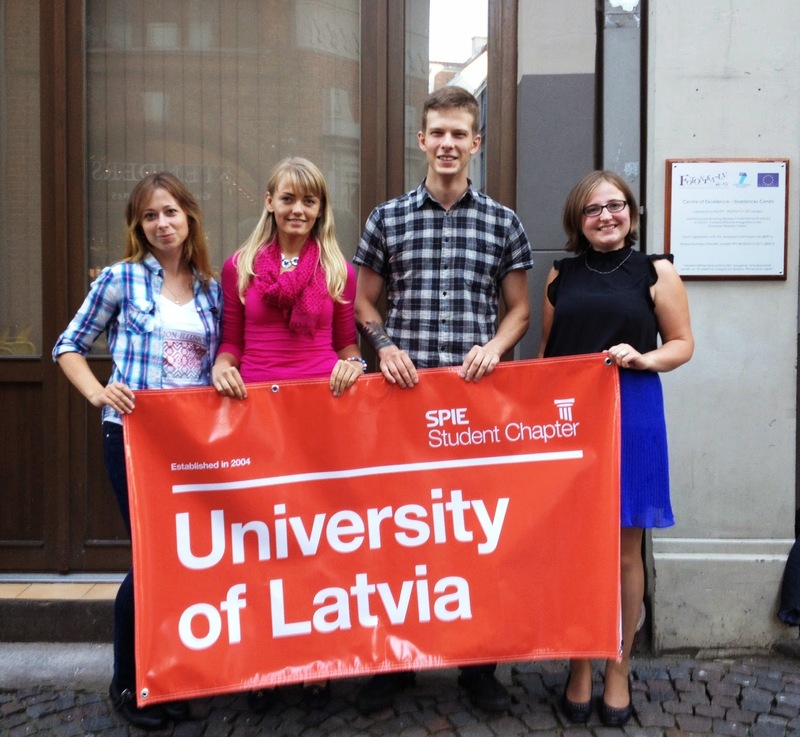 The new academic year has brought changes in the University of Latvia SPIE (UL SPIE) chapter - four young and motivated UL SPIE members took a challenge to continue their activities as the members of the Board of the UL SPIE chapter. T. Pladere, M. Lange, A. Bundulis and B. Zutere. In the very middle of sunny August three ladies Marta, Brigita and Tatjana from UL SPIE Chapter went to San Diego, California, in order to participate in one of the biggest conferences - SPIE Optics and Photonics 2014. For the girls it was a great challenge in both professional and personal experience. Pic.1. The delegation of the UL SPIE chapter. From the left: Tatjana, Marta and Brigita.